Eat, drink, and be merry. What a fabulous way to live! Obvi, I love the eating part of that saying. I also love swapping recipes with others. It’s neat to see what other people like to make and testing out each recipe to see if it’s something I’d like to eat. 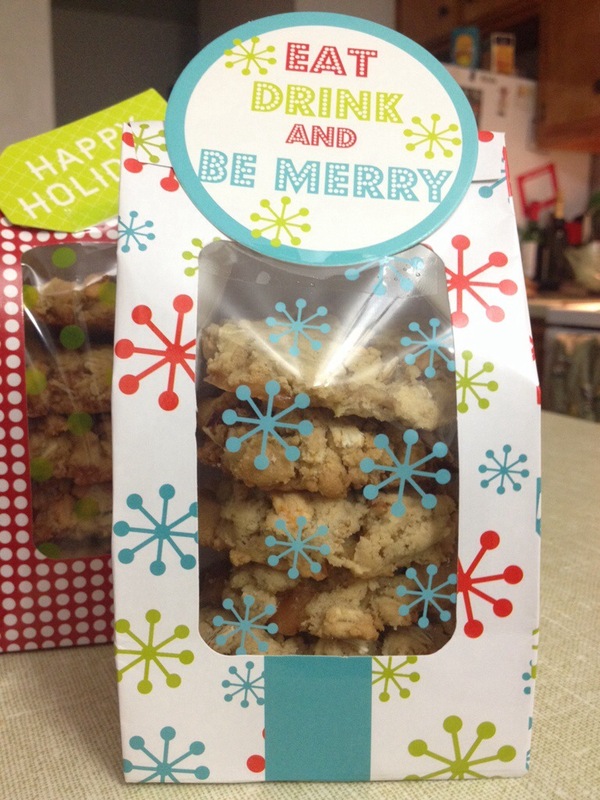 That’s part of what makes The Great Food Blogger Cookie Swap 2013 so perfect for me– I got to test out a recipe from a friend and receive 3 new recipes and corresponding cookies to try! 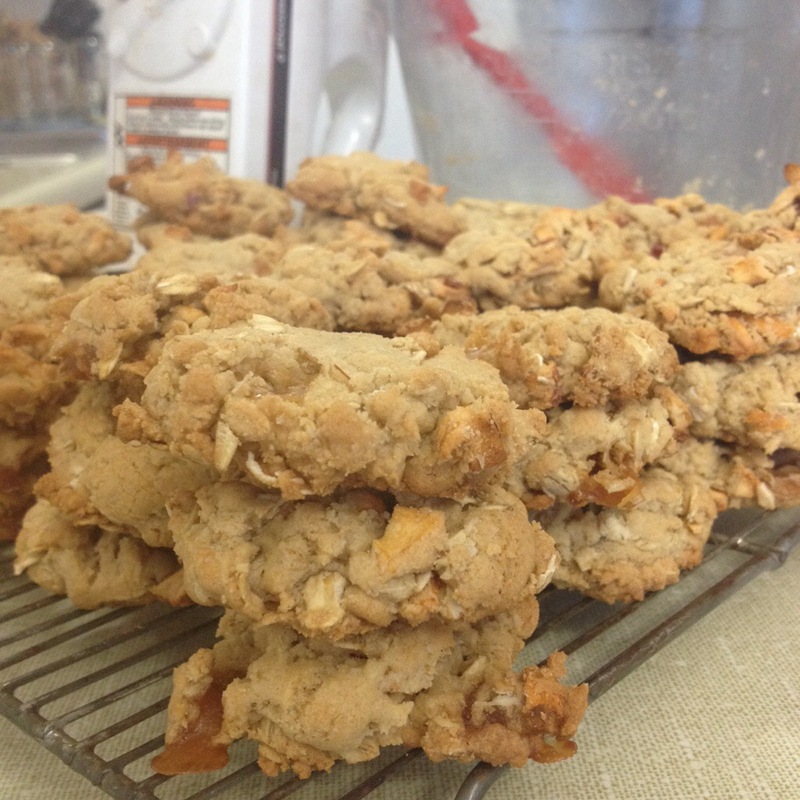 For this cookie swap, I made Caramel Apple Oatmeal Cookies, a recipe from my friend Jenny O.
Jenny brought these treats to a barbecue this past October. Yes, California has weather that allows for barbecues in October. Usually. I may or may not have eaten four cookies before asking her to send me the recipe. Luckily for me (and you! ), she was happy to oblige. Spoon flour into dry measuring cups; level with a knife. Combine flour and next 4 ingredients (through salt) in a bowl; stir well. 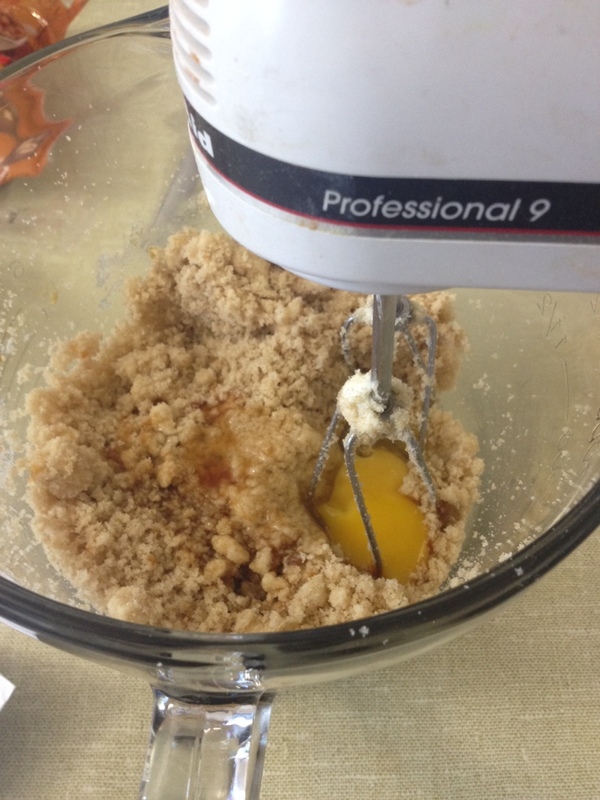 Place sugars and butter in a large bowl; beat with a mixer at medium speed until light and fluffy. Add vanilla and egg; beat well. Gradually add flour mixture; beat at low speed until just combined. Fold in apple and caramel bits. Drop dough by Tablespoonfuls 2 inches apart onto baking sheets. Flatten balls slightly with hand. Bake at 350° for 9 minutes. Cool on pans 3 minutes. Remove cookies from pans; cool completely on wire racks. Jenny couldn’t remember where she originally found the recipe, but we can both attest to the tastiness of the cookies. 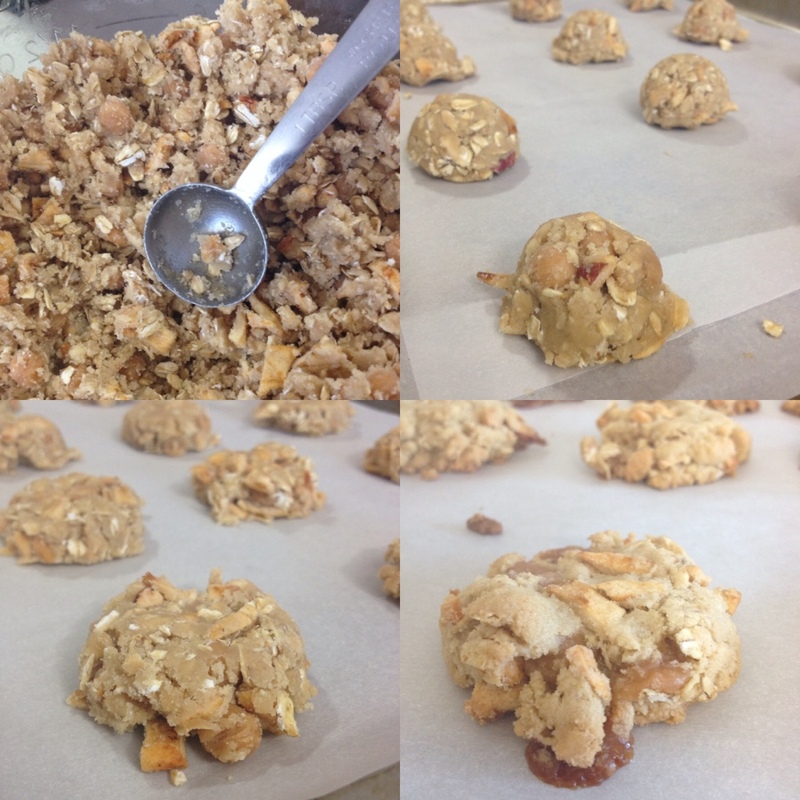 I also added more caramel pieces and apple chunks than her version called for. I love using a Tablespoon measurer to form cookies. Spray it with a bit of non-stick cooking spray to make it easy to get the cookie out. Thank you dollar bin at Target for these cutie bags! 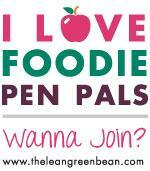 I’m so happy that I participated in The Great Food Blogger Cookie Swap 2013! In case you don’t remember the plan, I sent 1 dozen each to 3 different food bloggers and received cookies from 3 completely different food bloggers. Ms. Nicole at What’s Bacon sent me cookie #3 on this post and included a super sweet note about wanting to make me special Czech cookies because her partner is Czech and she knows how much I love everything Czech. This made me so happy! The cookies I received were all very unique to one another. I can’t read about all of the cookies that were sent out via the cookie swap – look out for the round up on Monday, December 16th on both The Little Kitchen and Love & Olive Oil. 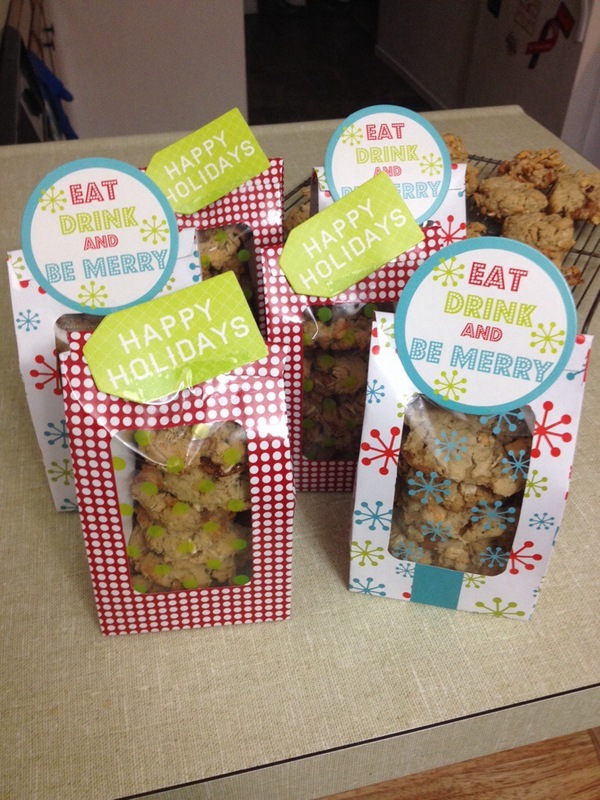 Check out last year’s round up for the Cookie Swap Part 1 / Part 2. I need to give a special shout out to the lovely ladies I mailed these to: Ms. Dixya at Food, Pleasure, and Health, Ms. Rachel at Cupcakes and Bakes, and Ms. Caroline at Chocolate & Carrots. 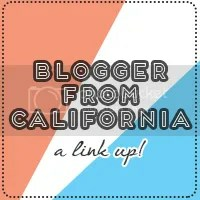 Follow their adorable blogs and tweet them lovely things on Twitter. I hope you ladies enjoyed! 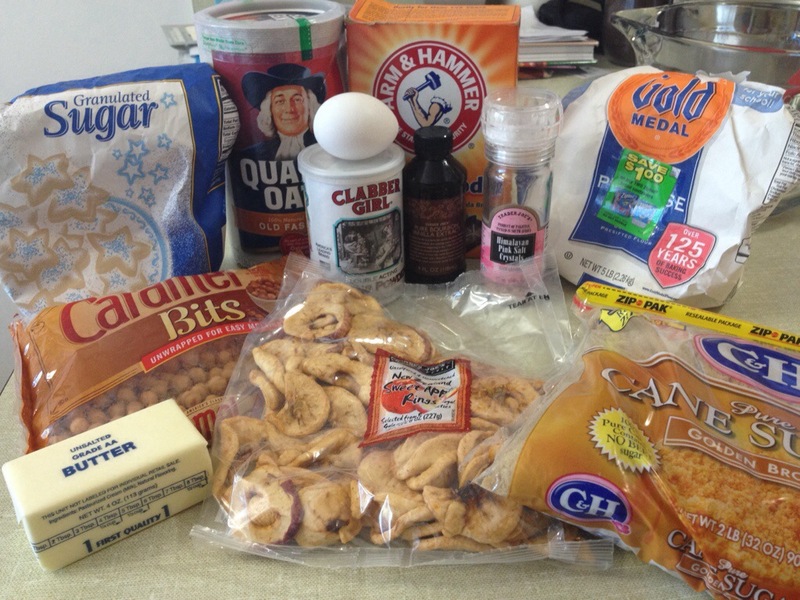 Posted in Kitchen Adventures and tagged baking, food, Great Food Blogger Cookie Swap, recipe. Bookmark the permalink. Oh yay! Thank you so much, Nicole! I can’t wait to try these.